Do your employees know the behaviours they are expected to display? 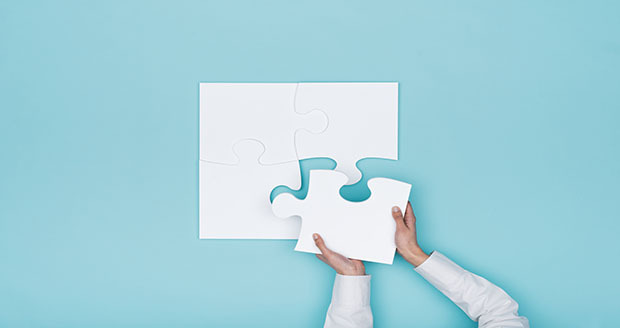 Performance management is like a puzzle, employees need to know the individual role that they have been hired to perform, to how this role fits in the team, to handling change when the pieces change. To offer a positive, engaging culture, requires transparency on the performance of the employee. There should be metrics created to serve as a baseline for the outcome of the role. Remember, what gets measured, gets done! Train the managers and the employees on how to give and receive feedback so there is a basic understanding in the organization. Complementary to this should be discussions about career development between managers and employees. Every employee should be challenged to think about the competencies they possess and areas to grow their skills. Specific feedback needs to be focussed on the positive performance and the areas that require further development. Continual coaching and mentoring should align the corporate strategy with the employee’s performance. As engagement increases, you’ll see the passion ignite within your employees. When performance is not met, tough conversations need to be scheduled with the manager identifying what performance is not acceptable, additional training that needs to be completed and next steps. Human resources teams have the ability to influence the organization on performance management. This topic connects with other functions of human resources, such as: talent acquisition, learning and development, succession planning, retention and engagement. A clearer understanding of the role that an employee holds, the performance expected and the accountabilities of the role will feed into the culture. Feedback provided is more effective when not included in a sandwich, rather share positive feedback in a timely and specific manner. Constructive feedback should be discussed on its own so the employee can focus on the performance that needs to improve, steps to improve and how the performance improvement will be measured. Timing of feedback should be moving away from the annual performance review and be more consistent throughout the year. This will provide opportunity for conversation with the manager and employee. These conversations need to be specific with performance measures outlined. Situational leadership does affect the way that employees are managed; both from the manager and the employee’s work experience, communication style of each and the role that the employee is expected to perform. Feedback to employees should be more than just focussed on the mutually agreed targets, as employees are expected to work as a team, adapt to change, display core competencies and engage in the culture. If feedback is focussed on all of these topics, the employees will appreciate that their job is more than performing tasks. Frequency of performance management discussions need to be scheduled more regularly for new employees, for example at the end of their first week, and throughout the probation period. Longer tenured employees should be receiving ongoing feedback on their performance as well as quarterly conversations. Training for managers should include a number of different methods, culture of learning to provide opportunities for managers to grow, coaching to practice the intention of difficult conversations on performance management, articles or links to additional resources and mentoring from the human resources team. Employees who are not performing need to be managed as soon as lack of performance or behaviour is causing concern. After providing additional training, if there is no improvement, then a decision needs to be made to find a better role in the organization for the employee or have the employee leave the organization. Culture alignment should determine the type of performance rating scale for the performance annual review process. There should be a clear understanding of the scale in the training offered to the managers and employees. Schedule the compensation discussions separate from the performance discussions. Employees need to understand that there is more to motivation than compensation. Strategic discussions between human resources and the leadership team addressing the distribution of performance ratings should align with the corporate vision, mission and business strategy. The human resources team should create additional, meaningful rewards or recognition based on the sector, worth of the job to the organization’s structure, team involvement and individual contribution. We no longer have to treat every employee the same way. Contingent employees are an important part of the workforce, and therefore need to receive performance management. They have an impact on your organization brand, so expectations need to be established, met and rewarded. If the performance level is below average, then difficult conversations need to be scheduled. Landis Jackson, CPHR, M.Ed is a human resources generalist who over 15 years has held leadership roles in entrepreneurial, manufacturing, health services, technology and financial services sectors . She is passionate about helping organizations create progressive workplaces that foster employee development, learning and retention. Most recently Landis has been sharing her knowledge and experiences with students through her instructional leadership work at Bow Valley College. She has implemented the vision for the human resources program and collaborated with all the instructors on the team. Landis’ high energy and connection with people open conversations that lead to a different way of looking at workplace challenges. Employees need to know how they are performing in the organization, to learn the purpose of their roles and to have some fun along the way. Through her work Landis helps companies align the people initiatives with the corporate strategy, leading to achievement of desired objectives within an engaging culture built on trust.